Previously Ergo Sum Health, Check™ by SilverVue® is the preventative care software platform that clinicians use to incorporate comprehensive wellness programs into their practice. As the healthcare industry continues to prioritize quality care over quantity, Check provides clinicians with the tools needed to be compliant and take advantage of revenue opportunities that exist for providing value-based care. Check™ encompasses the A-Z of MACRA. From accomplishing your quality measures and improvement activities, to fulfilling all of your required submission to CMS, Check provides eligible professionals with the tools and a clear path to MACRA compliance and reporting objectives. The result is improved MIPS Composite Performance Scores, better patient health, increased Medicare and private insurance reimbursements, and improved MACRA payment adjustments over time. In other words, Check empowers practitioners to deliver better patient care, improved outcomes, and stronger financial returns for their practices both now and in the future. Talk to our MACRA and Quality Payment Program specialists about what Check™ can do for your practice. Please complete the attached form or call 888-623-4061 to get started. The Tools Practitioners Need to Succeed With MACRA. Avoid penalties and increase your reimbursements with Check's turnkey solutions for MACRA and the Quality Payment Program. Our platform includes numerous MACRA products that help physicians practice personalized medicine. The goal is to produce better patient outcomes while complying with the new MACRA reimbursement laws. Our integrated programs were created specifically for the new provisions of MACRA. These programs help Eligible Professionals improve their MACRA scores, improve their reimbursements, and tap into significant new revenue opportunities. Our products and software services are developed in-house by our team of experts. 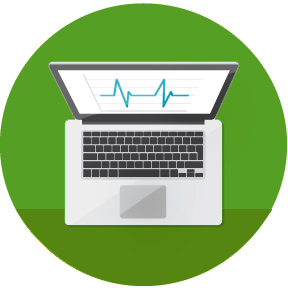 We can create custom systems for large practices and integrate most EMR/EHR systems with our MACRA ready software platform. Our integrated platform includes over 100 quality measures found within the new program. Over 75 Clinical Practice Improvement Activities are found within our platform. As a CMS-Approved Qualified Clinical Data Registry (QCDR), we have the ability to submit your measures and objectives to CMS.